The Petrified Forest is situated at the C39 round about 44 kilometres west of Khorixas in the valley of the river Aba Huab. 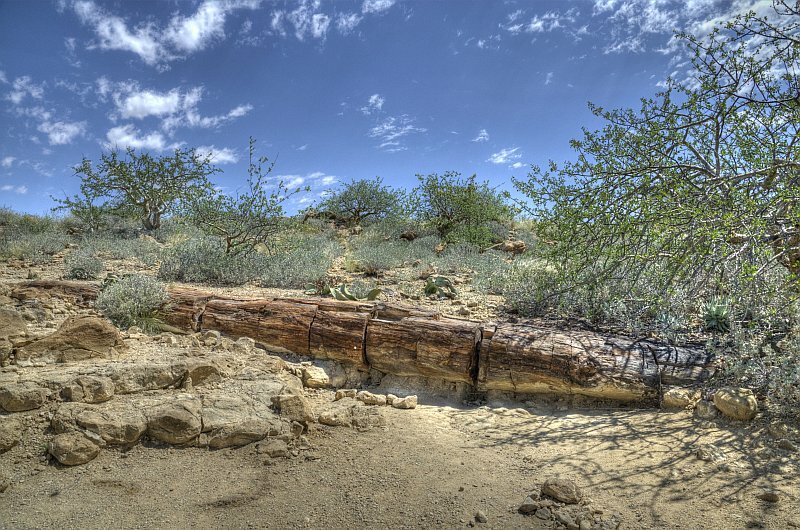 The Petrified Forest was proclaimed a national monument on 1st March 1950. To visit this Earthcache you need the compulsory services of a National Monuments Council guide. You have to pay a small fee (N$100 per person). The guide makes a round trip with you and provides you with information about this site. Tips given to guides are not compulsory but they are merely given as a token of appreciation for the quality of guiding services. In the summertime the daily temperatures can reach 44° Celsius and during the rainy season (October to April) you should switch your car to 4 by 4 on the gravel road. During the glacial stage for 280 to 300 million years the average temperature rose and glaciers began to melt. The water level of rivers began to rise and many areas were flooded. The floodings were so powerful that many trees were uprooted and swept away. The tree trunks were soaked with water and sank to the ground or were washed ashore in river bends. These tree trunks were then covered by alluvium (loose sediment) that was also transported by the flood. Under the alluvium the trunks were protected against the atmosphere and thus against rotting. During more following floodings more and more loose sediments were deposited. In a million years the deposition grew to a several of thousands of metres. Under the rising pressure the sand compacted to sandstone. The trunks ran then through a process called silification or calcification. In the compacted sand was siliceous water and the silicate caused all organic materials that make up wood to be dissolved and replaced by silica. The process of silification was very slow but gradually the trees began to petrify. With the beginning of the cretaceous for 150 million years the sedimentation area changed to an erosion area (impact of the continental drift). In the following geological eras the sediment layer was removed by erosion until last the petrified trees were exposed. Q1: There are parts on some of the trunks that sound hollow if you would knock on them. Don't touch the trunks by yourself, just listen to the description of the guide and describe in your own words what caused this abnormality. Q2: At the waypoint OBSERVE you will find some smaller pieces of petrified trunks. Observe the biggest one of them. You can see different colors caused by several substances as described above. What color does the innermost ring have and name the second most colors of that trunk. Please write me an email with your answers through my profile and wait for my reply before logging this earthcache. 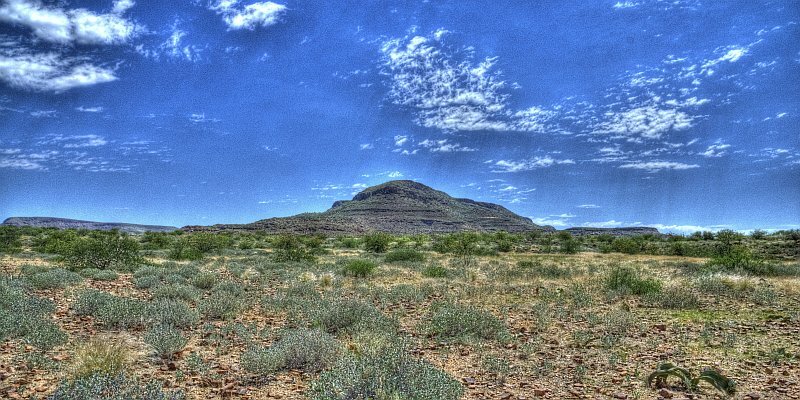 During the walk you will see a living fossil of the Namib. 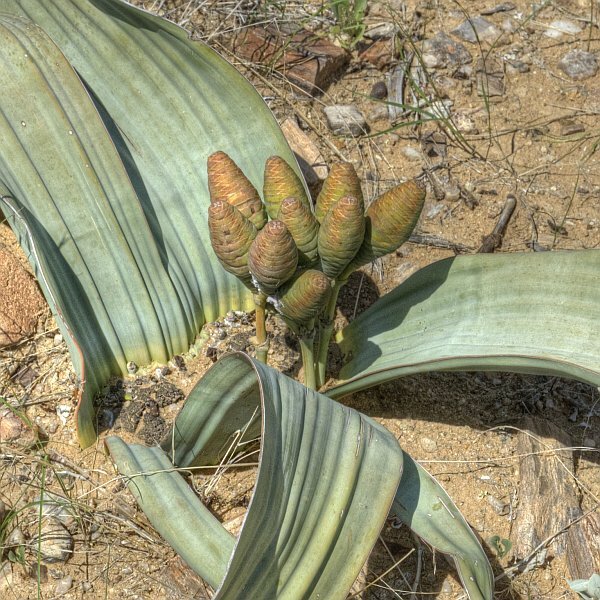 The Welwitschia (Welwitschia mirabilis) is an endemic plant in the Namib and was discovered in 1859 by the Austrian botanist Friedrich Welwitsch. You find male and female plants. The pollen are transfered by insects but the diaspores are only released when the conditions are well. Therefore rain in the Namib is needed. The last time with well conditions was in 1934/1935. 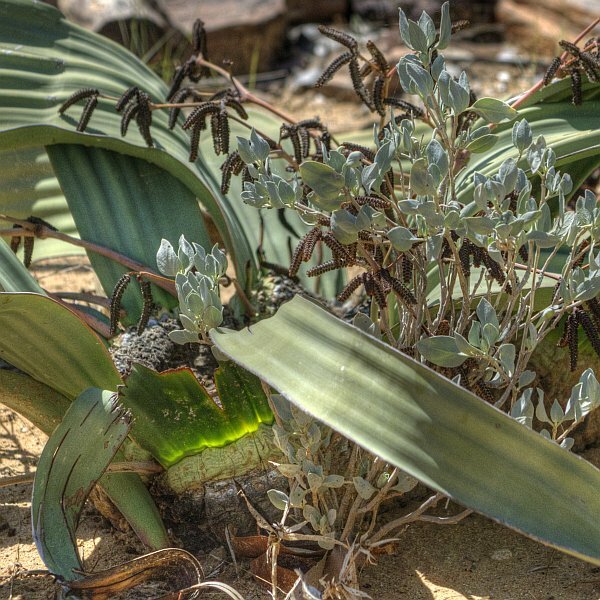 So most of the plants are from that time. 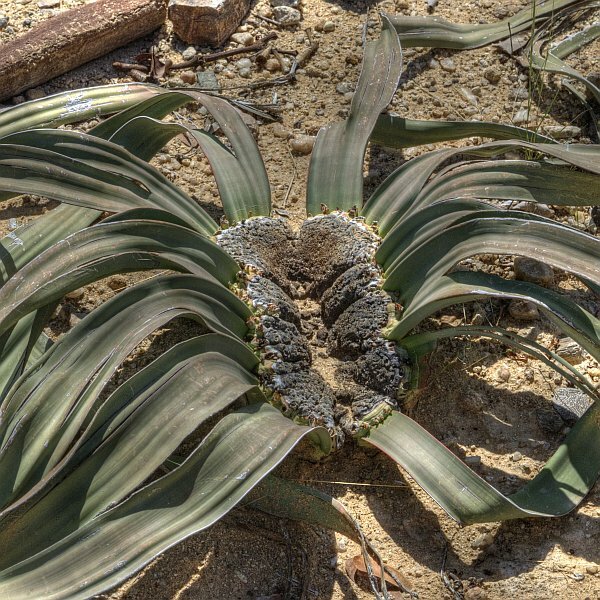 The plant can become up to 1.500 years old. I would like to say thank you to the ladies at the National Heritage Center for their official permit and to Elke for getting me in contact with them.